Planning a vacation can be exciting and exhilarating, but it can also be stressful and time-consuming if you don't know where to look. That's why we've covered some of the best places to find vacation deals online. That's because you will have your own local AAA travel agent to help streamline the process. They can help you find the perfect services to fit your schedule and budget, without spending much time comparing prices. They even offer last-minute travel deals for any impromptu vacations or business trips. Finally, you can find freebies on the site, like a free car rental for a day, to complete your trip. You also probably didn't know that Costco offers some of the best vacation deals online, all with the great customer service they're known for. You may be eligible for special member perks, like room upgrades, spa credits, and more. Costco Travel also has a Low Price Finder, where it will compare all online coupons and deals to find you the lowest prices possible. If you don't feel comfortable reserving your flight, hotel, or rental car through a booking site, simply go directly to the service provider and ask if they can price match the estimate you found on a booking site. Most hotels and airlines also place deals directly on their sites, which may be the same deals you would find on a booking site. Groupon, LivingSocial, Amazon Local, and Yelp can help save you money when you are booking your trip, as well as after you have arrived. They offer deals on hotels, travel packages, and even rental cars. Once you arrive at your destination, use these discount sites or apps for local deals on food, entertainment, excursions, shopping, and more, so that you can get the most out of the area without breaking the bank. Airbnb will allow you to rent an apartment or home for the exact amount of time of your trip. They also offer shared rooms and even couches, depending on your budget and sleeping preferences. Booking through Airbnb can save you a lot of money and allow you to feel like you're staying in a home, rather than a hotel. You can also visit BedandBreakfast.com for a directory of the best bed and breakfasts, in all price ranges. If possible, try to book your trip last minute. There are substantially more deals and savings available when you are able to book shortly before your trip. At Last Minute Travel, the process is streamlined so that you can easily book and customize your travel itinerary at the last minute. You can also visit AirfareWatchdog, which will allow you to monitor airfare and hotel prices so that you can take advantage of sales immediately. Be sure to check Wise Bread's Travel Resources to find other ways to save big money on your vacation. 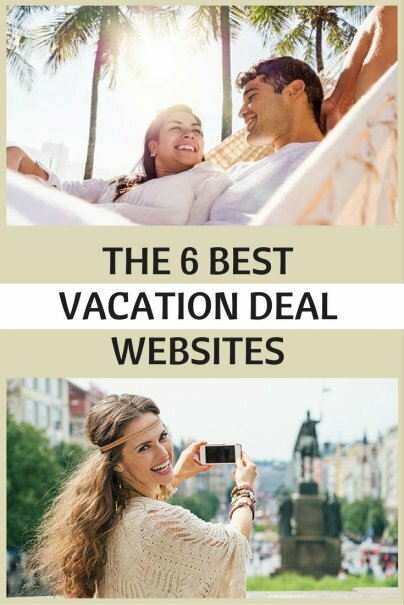 Do you have any other suggestions on finding the best vacation deals online? Please share your thoughts in the comments! I was aware of a few of these sites, but by no means all of them. Thanks for such a list!